AVK employees came together recently for our annual ‘Kick Off’ meeting! 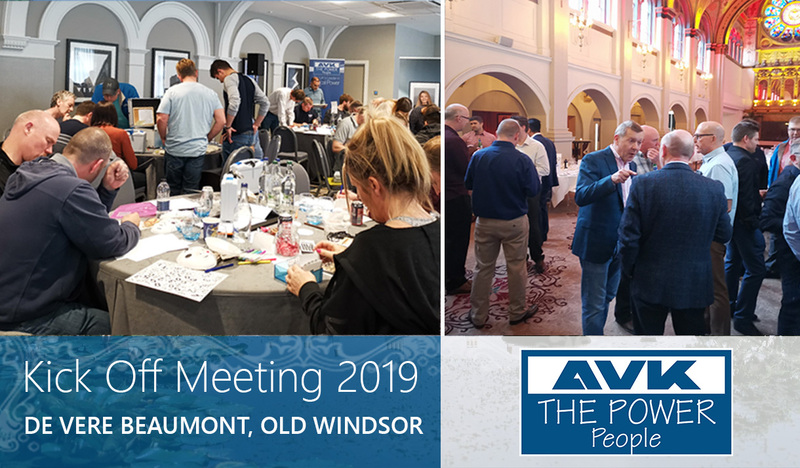 Hosted at the De Vere Beaumont Estate, Old Windsor, all our staff came together and joined in celebrating not just an outstanding past year in terms of growth, delivery and exciting new products and ventures but also 2019 year marks a huge milestone in our history – AVK turning 30 years old! Throughout the morning staff were delivered informative presentations from the MD, directors and managers of the numerous departments within AVK highlighting key successes and setting targets for the year ahead, everyone was fired up to take on the challenges of the year ahead but not before a fun team building exercise in the form of a ‘Bank Heist’ problem solving challenge! Following on from the afternoons activities, the evening culminated with a gala awards dinner with prizes for our most highly achieving staff members and a hosted casino with roulette and blackjack.